2000 ENGINE: The value‑focused 565cc, 2‑stroke, fan‑cooled carbureted engine is powerful, durable and efficient. Push‑button engine reverse is a favorite in the utility segment. This engine is revered around the world for its simplicity and dependability. 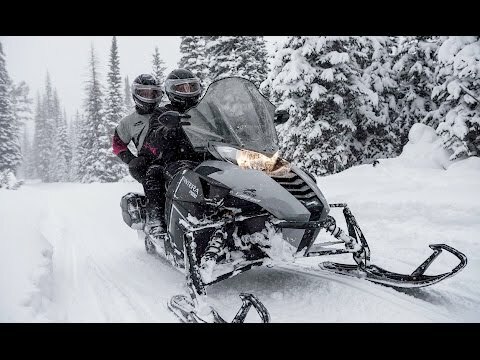 ACT DIAMOND DIRECT DRIVE WITH ARCTIC CAT CLUTCHES: The ride-proven ACT™ Diamond Direct Drive™ planetary gearcase produces efficient transfer of power from engine to track, delivering a smooth ride. The Arctic Cat® clutch system engages at lower RPMs without sacrificing top speed. AWS VII FRONT SUSPENSION WITH HYDRAULIC TWIN TUBE SHOCKS: Arctic Cat's legendary AWS™ VII front suspension utilizes strong, durable A-arms, providing great handling and cornering. Hydraulic twin tube shocks smooth out the chatter, mile after mile, for an even more comfortable ride. 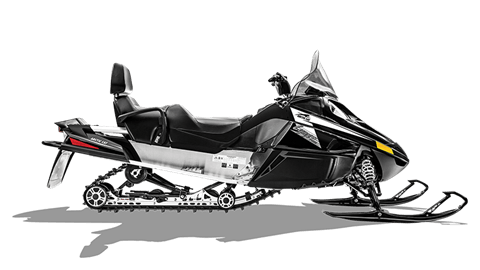 SLIDE-ACTION REAR SUSPENSION WITH ARCTIC CAT HYDRAULIC TWIN TUBE SHOCKS: The SLIDE-ACTION Rear Suspension™ brings race-day technology to everyday riding. Our U-shaped slot fits over a fixed shaft to allow a crucial half-inch of sliding movement. As the rear transfer blocks are engaged, the free-acting front arm follows the terrain, keeping your skis firmly planted over bumps, and during aggressive cornering and acceleration. This significant detail controls ski lift during acceleration. Arctic Cat hydraulic twin tube shocks smooth out the chatter, mile after mile, for an even more comfortable ride. ADJUSTABLE BACKREST: Looking for more comfort on long rides? This easy-to-adjust backrest allows you to dial in the just right amount of support. ADJUSTABLE HANDLEBAR: Our easily adjustable handlebar allows you to set the perfect position for riding comfort. 144-IN. CHALLENGER TRACK WITH 1-IN. LUGS: The 144 in. Challenger track is made for riding in style and comfort. The 1" lugs offer you the traction you need on the trail, and are optimal for both cruising speeds and opening up the throttle as you explore the hard-packed wilderness.